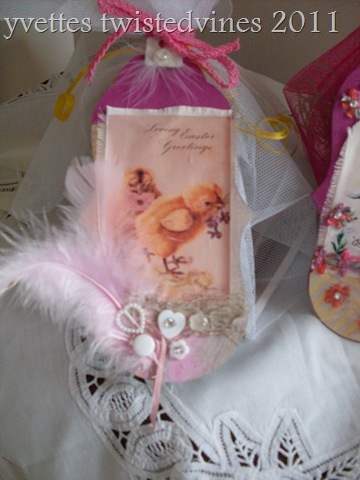 Today has been spent designing these Easter tags for my nephew and niece to give to their teachers. Tomorrow is the last day of school for the Easter break up…and we’re all looking forward to that! 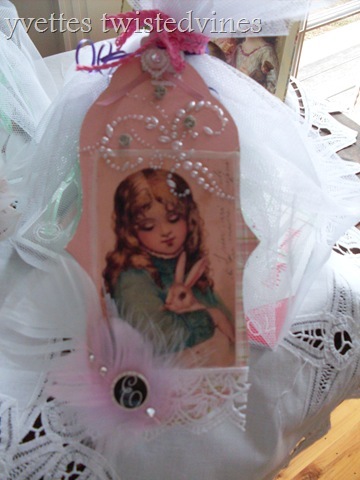 These tags were made with different coloured papers, embellishments, buttons, feathers, ribbons and vintage photo’s. 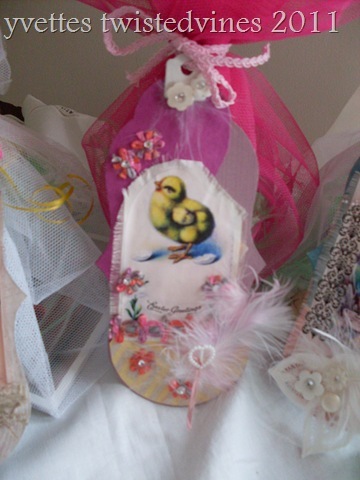 these are gorgeous Yvette – you need to set up a market stall and sell all your beautiful craft. What a talented lady!! 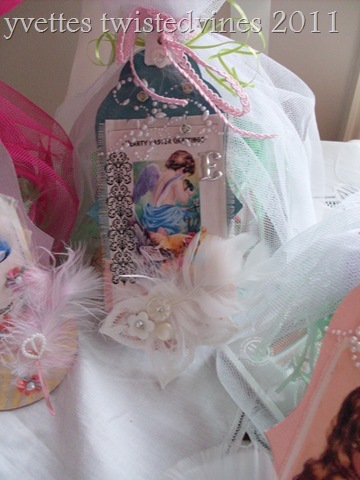 How lucky for the recipients of these lovely gifts. 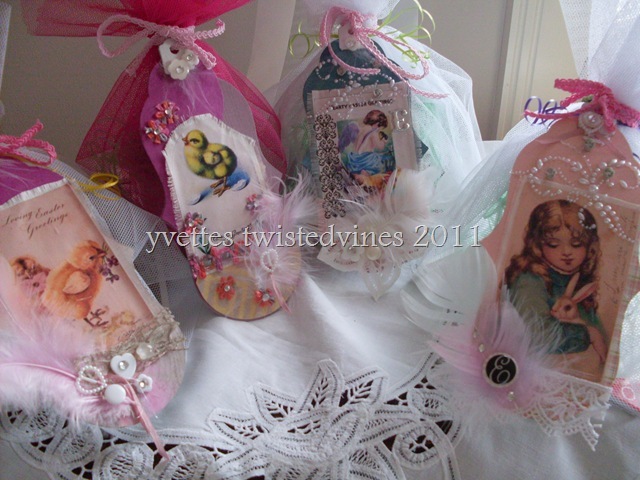 You are very creative Yvette. They are lovely, Yvette. Your niece and nephew are blessed to have you in their lives.